Top Hat Books, 9781785350092, 237pp. An amber bead. A gold and glass drinking horn. A ring engraved with Thor's hammer all artifacts from a Germanic tribe that carved a space for itself through brutality and violence on a windswept land . Brimhild weaves peace and conveys culture to the kingdom, until the secret of her birth threatens to tear apart the fragile political stability. This is her story the tale of Grendel's Mother. She is no monster as portrayed in the Old English epic, Beowulf. We learn her side of the story and that of her defamed child. We see the many passages of her life: the brine-baby who floated mysteriously to shore; the hall-queen presiding over the triumphant building of the golden hall Heorot and victim of sexual and political betrayal; the exiled mere-wife, who ekes out a marginal life by an uncanny bog as a healer and contends with the menacing Beowulf; and the seer, who prophesizes what will occur to her adopted people. We learn how the invasion by brutal men is not a fairy tale, but a disaster doomed to cycle relentlessly through human history. Only the surviving women can sing poignant laments, preserve a glittering culture, and provide hope for the future. 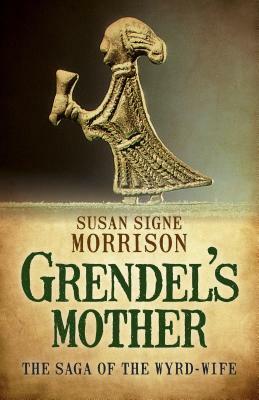 Professor of English at Texas State University, Susan Signe Morrison lives in Austin, Texas, and writes on topics lurking in the margins of history, ranging from recently uncovered diaries of a teenaged girl in World War II to medieval women pilgrims, excrement in the Middle Ages, and waste.